The success or failure of each patient claim begins and ends in the front office. Why? Patient insurance eligibility verification is the beginning. MRC provides this important service—and perhaps most critical—as a step in the billing process. That means your front office does not need to obtain and accurately record all eligibility information. MRC eligibility staff is responsible for determining each patient’s insurance eligibility, including: coinsurance or copay, deductible, benefits cap, where to send the claim, whether the payer requires specialized forms or additional documentation, and whether the payer requires authorization. Once MRC receives the eligibility request and a copy of the insurance card (front & back), your account representative will submit to our eligibility department. They will process your request obtaining as much information as possible about the benefits your patient has. Often conflicting information requires multiple calls to determine what the patient’s actual coverage is. Once the eligibility is completed, you will receive an eligibility response form detailing all the information we obtained from the insurance company. This report will be returned to the practice within 2-5 business days (some carriers now allow 10 days to respond to eligibility verification requests). 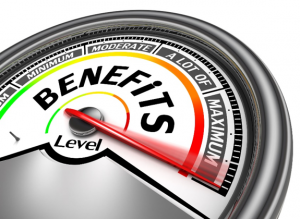 A favorable benefits determination does not mean you will be paid by the insurance carrier. Let our experienced staff help with the pre-certification (authorization) process for you. The prior authorization process can cause more frustration among healthcare providers than any other administrative process. This is also one of the most important steps in getting paid for your services. Azalea Pre-Cert Services, or pre-authorization services, facilitates the pre-certification process between healthcare providers and their payers. Typically, pre-authorization services are required for most therapy services or any procedure that requires a pre-certification. The function of Azalea’s pre-cert portal is to collect patient information from medical providers to obtain prior authorization for required procedures. Azalea Pre-Cert Services manages your pre-certs from a centralized location, maximizing claim reimbursements with reliable and rapid turnaround time while reducing duplication and patient data errors. Our experienced customer service staff uses our web-based practice management (PM) software to enter patient authorizations directly benefiting both MRC and the practice. They communicate with the practice offices and insurance payers, ensuring pre-certification and approval requirements for your practice.